I took these photos with my cell phone, so they are not quality, naturally. But I so wanted to share these finds with you. 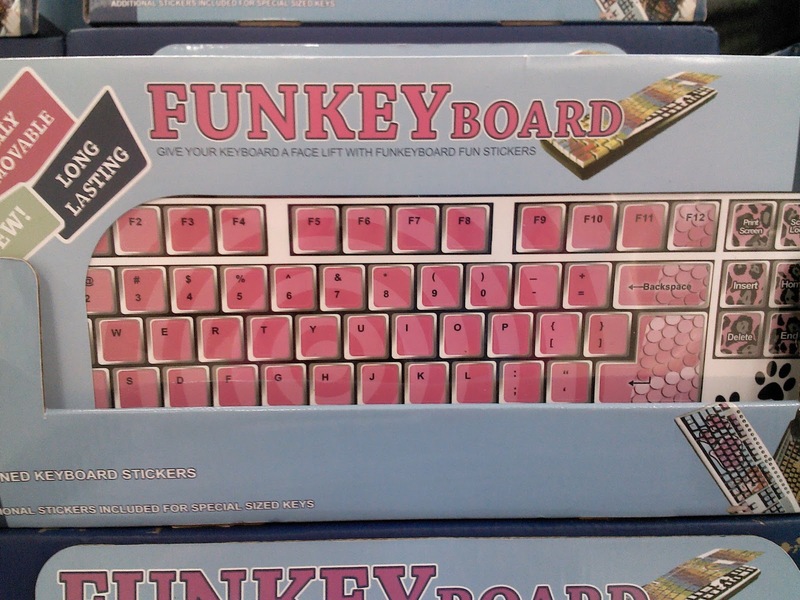 I love the name ‘FunKey Board’!!! Cute! 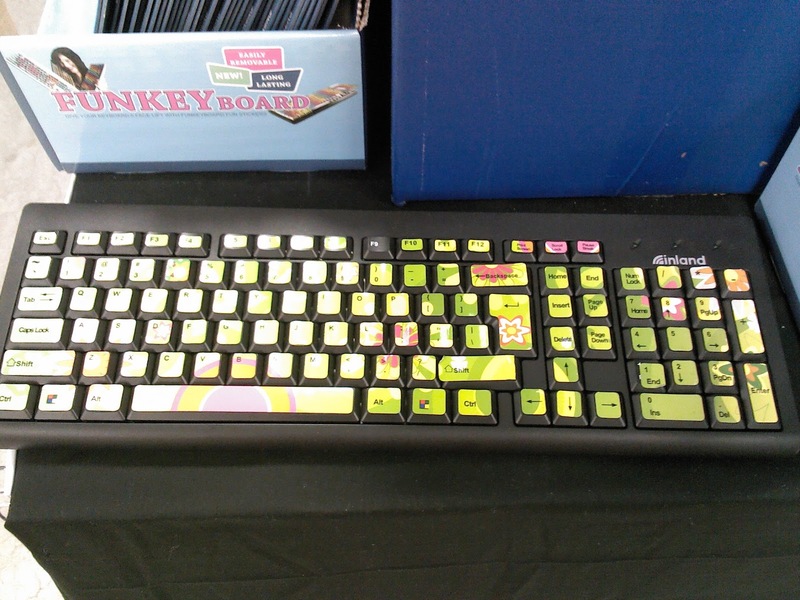 These are themed stickers you can put on your computer keyboard. 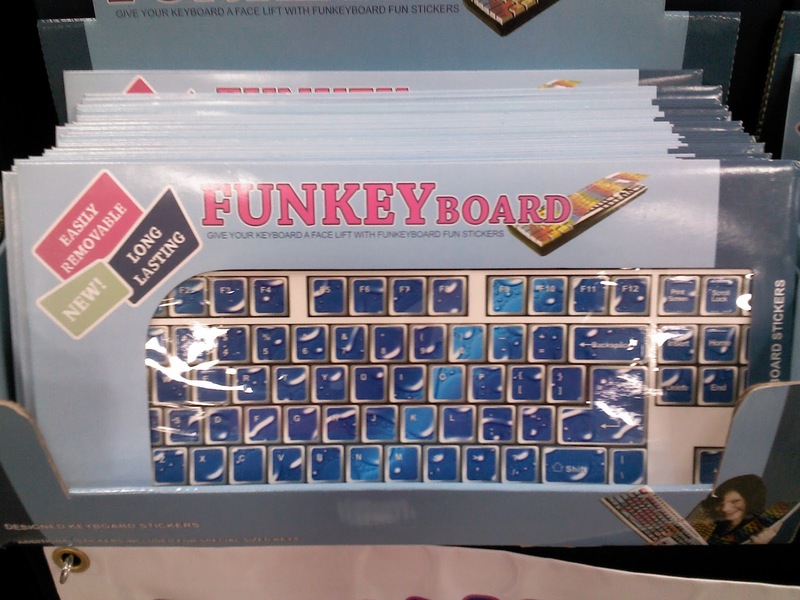 Perfect for when I stay up in the wee hours of the night reading blogs and hanging out on Twitter. Libby would pick this one. That is, if they let cats in Sams. 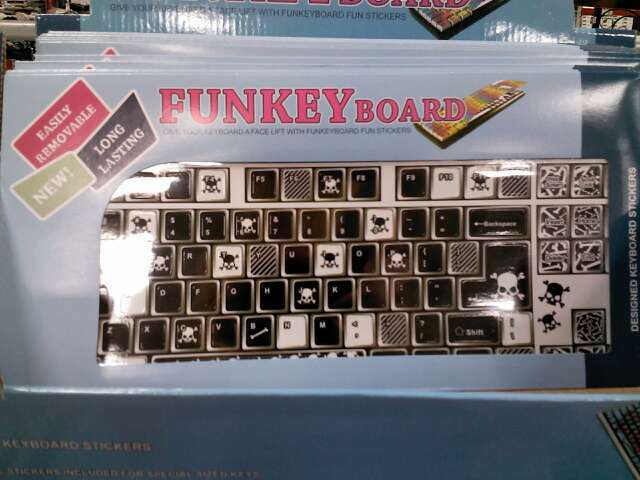 Anyone here not like funky skull and crossbones? Ohhh, I just thought of something…I could mix the pink and the skulls! 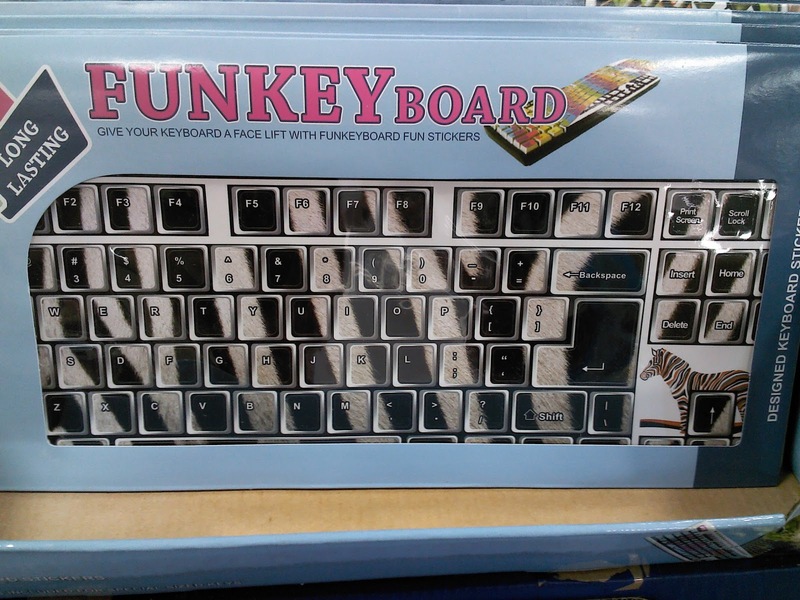 Celestial theme and a zebra stripe board. Can you imagine painting your nails to match? Crazy! I took photos of mostly feminine themes, but if you are a sports lover, they had some of those too. They had ocean, surfing and skateboarding too. Sadly, this camera angle and camera don’t do these justice. Here’s what I don’t think I’d like about them, however. 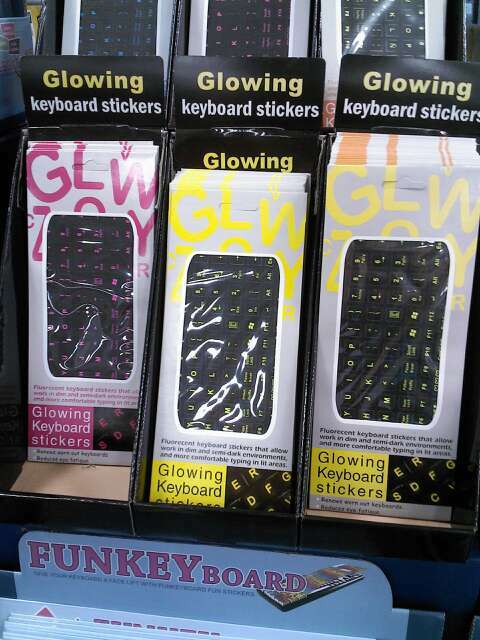 One, they are stickers and are apt to come loose. And secondly, I don’t think I have the patience to stick all those stickers on!! 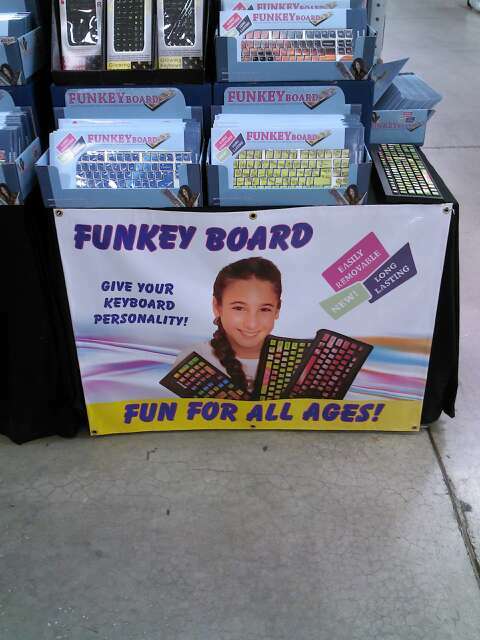 The investment is under $9. And, I’m not a Sam’s Club member. 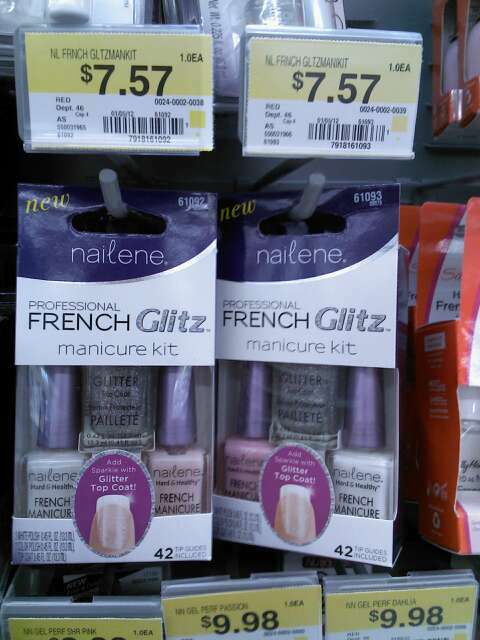 Nailene has come up with a French manicure kit that you can make the tips glittery. Not a new idea, but nice to have all the products in one kit. There are two different nail colors, pink and a light peach shade. I think the price is a good one for all that comes with it. Having a job that takes me to different places everyday makes me very happy. 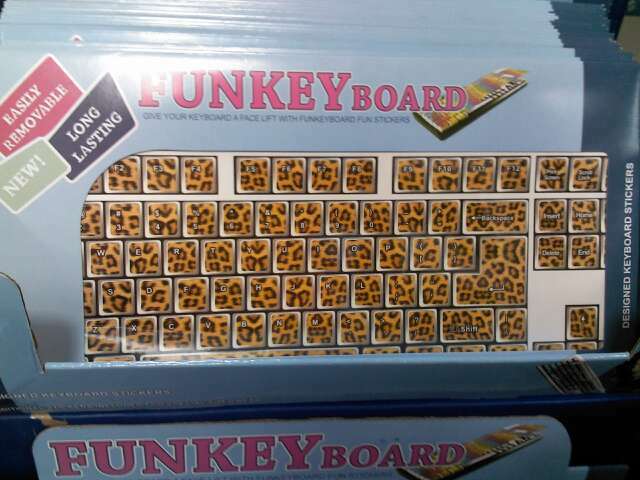 This entry was posted in French manicure kit, I Spy, keyboard stickers, Nailene by kimberlyp. Bookmark the permalink.